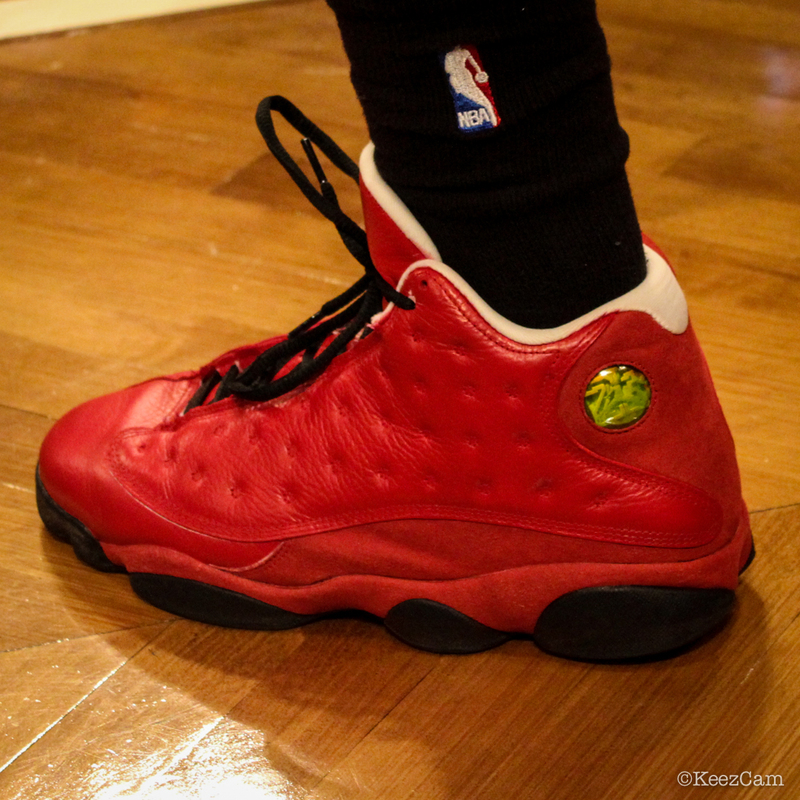 Nate broke out this all red custom pair of the iconic XIII for Game 1 of the Bulls' playoff series against Brooklyn. 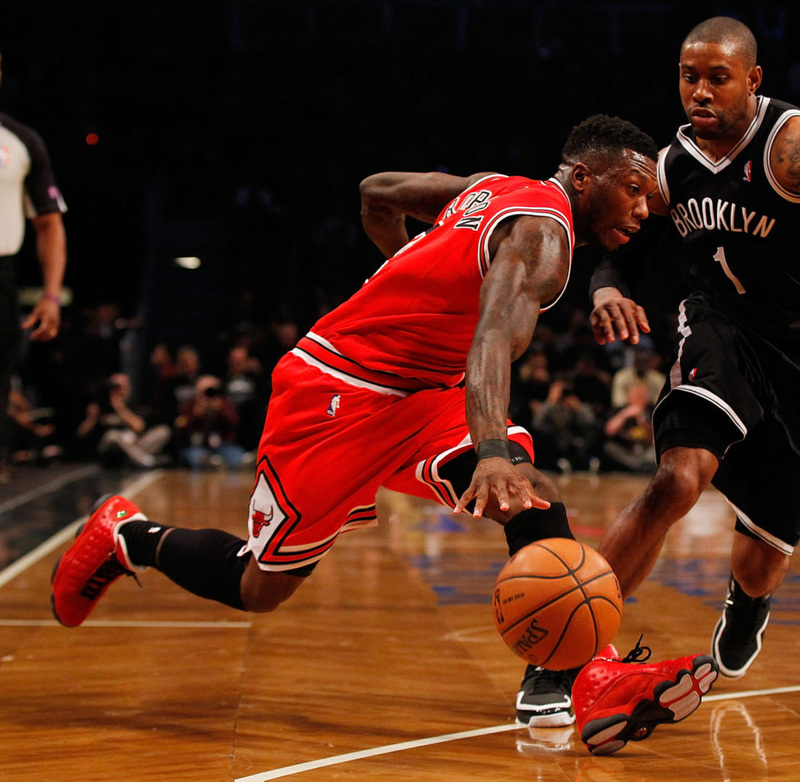 Though he referred to pretty much all of his sneakers as "favorites" of his during our video tour of his sneaker closet, Chicago Bulls guard Nate Robinson really does like playing in the Air Jordan XIII. Along with the Air Jordan XII, it's the model he's worn most throughout the season. With Game 1 of the playoffs kicking off on Saturday in Chicago's series against the Brooklyn Nets, Nate wanted to spice things up a little and move on from his usual rotation of the four iconic Bulls colorways of the XIII. With the help of custom artist Mache Customs, Nate rocked this red painted pair for the first half of Game 1. The Bulls often use the phrase "See Red" in marketing and at the United Center, and the fully red pair of XIIIs definitely would comply. 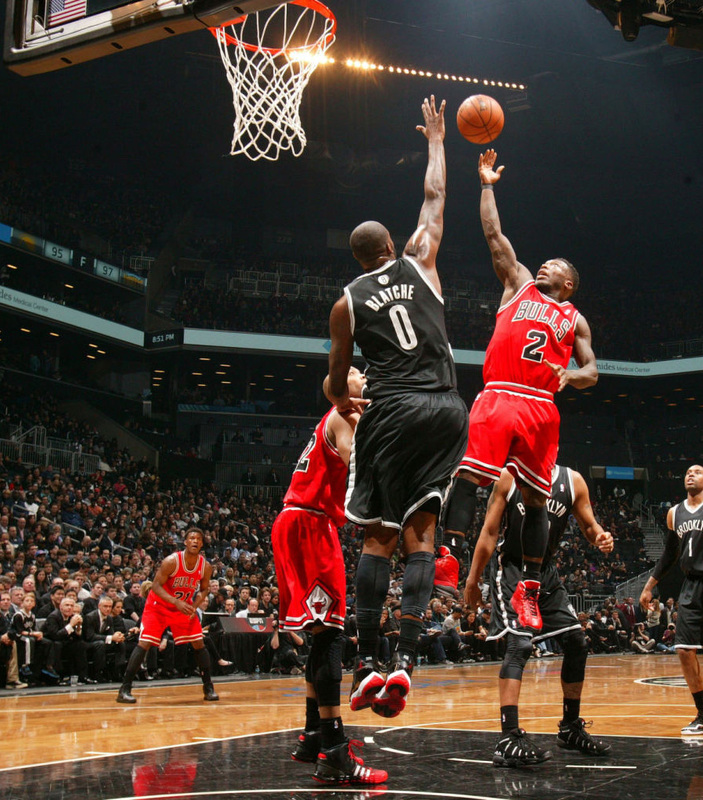 Check out Nate in action below, and we'll be keeping a close eye on his sneaker selection throughout the playoffs. For more on Nate's collection, be sure to check our series of video interviews.